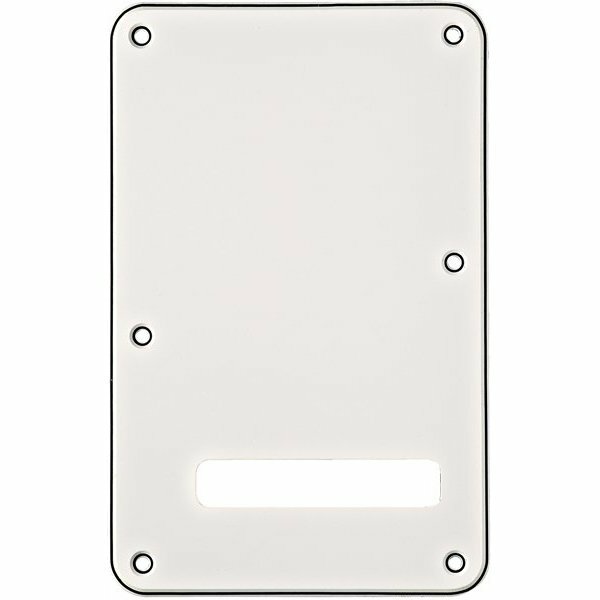 Modern single-ply Stratocaster tremolo backplate with single large string slot. 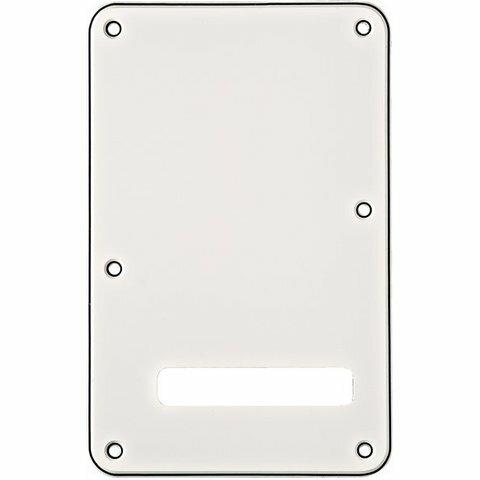 Fender offers an assortment of replacement back plates designed to fit most Stratocaster guitars. 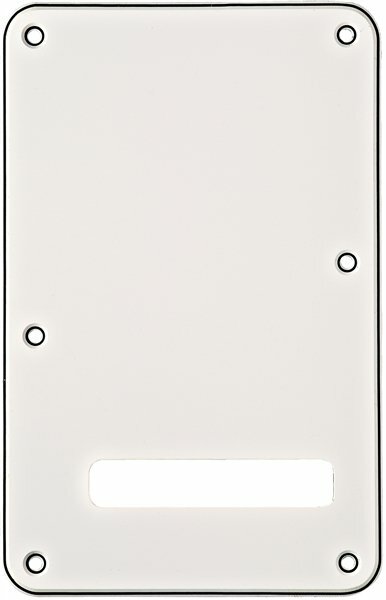 Modern style with single slot opening for strings.